For an unforgettable wedding reception an outstanding wedding dinner must not be missing! The classics amongst wedding meals are dinners in the typical gala dinner style or wedding buffets. 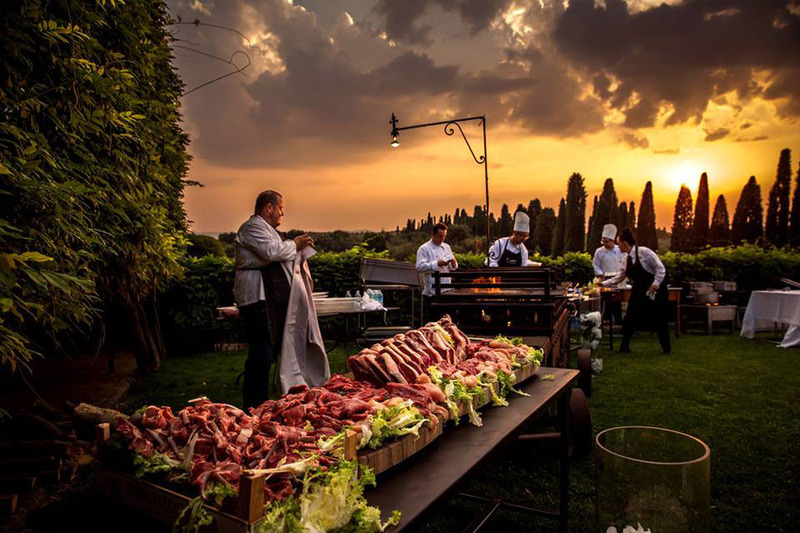 However, more and more couples from all over the world choose a relaxed and unconventional style of their wedding dinner: the BBQ, where delicious food in a comfortable party atmosphere is paramount. Barbecues are a nice alternative to the traditional wedding dinner and offer the opportunity to enjoy the delicious meal in a nice and relaxed atmosphere – without hours of sitting according to strict seating plans and endless waiting for the various courses. So it is not surprising, that barbecues become more and more popular for weddings! In Italy, especially “asados” – also known as “parrilllada”- are very popular. Those are barbecues in the argentine style and the special thing about it is that the big pieces of meat are grilled for hours with indirect heat. Each grill master, the “asador”, has his very own method for it. Like this, the meat becomes very tender and has a delicious crust. The time of waiting for the dinner can be spent in a convivial round with nice talking and music. That is the reason why barbecues have become very popular especially for weddings. The meat, mostly beef, is either cooked on a charcoal grill, the parilla, or over an open fire. 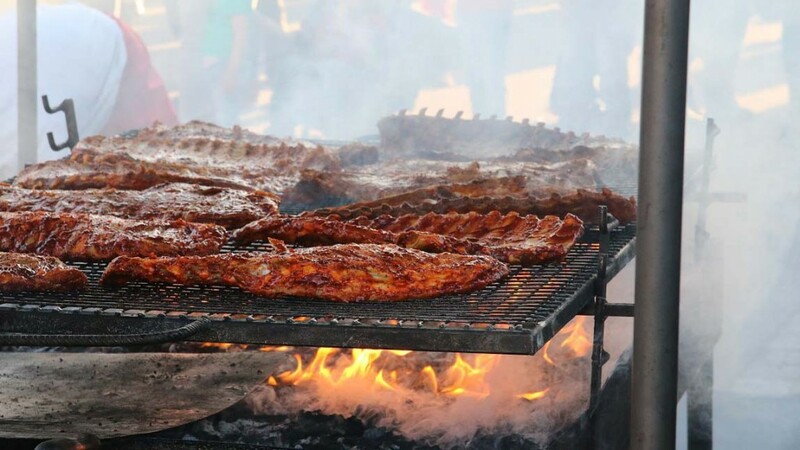 Some examples for typical barbecue menus are various slices of meat such as “costilla” or “falda” (different kinds of spareribs) or sausages like “chorizo criollo” or “chorizo parillero”, intensely seasoned pork or beef sausages. Those meats are mostly served with salads and red wine. Also for the welcome day, a BBQ is perfectly suited in order to receive your guest and to look forward to your wedding day together. Another possibility is a barbecue party the day after your wedding. Like this you can round off your wedding in a nice and comfortable atmosphere before all of your guests will leave again.